Peter M. Macy ESQ - Elder Law Eastern Mass. If you have visited this website because you are a beneficiary of a trust, or have some other interest in a trust, for which Mr. Macy serves privately as trustee, please contact him at the address, telephone and e-mail shown at the bottom of this page. Mr. Macy also can be reached through the contact function of this website, by clicking here. In July, 2014, Mr. Macy became full-time Executive Director of Guardian Community Trust, Inc., a non-profit, special-needs trustee for more than 500 elderly and disabled individuals in Massachusetts. Pursuant to this appointment, effective October 1, 2014, Mr. Macy has discontinued taking new appointments as private trustee. 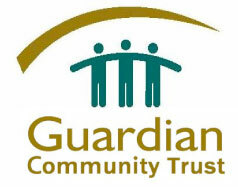 For more information, including recommendations of other persons and organizations who can serve as trustee, please contact Mr. Macy through Guardian Community Trust, Inc.
Are You Looking for a Trustee? Mr. Macy serves as private trustee for individuals and families in Massachusetts and Washington State. Working with seasoned investment advisors and accredited institutional custodians, he directs the management and distribution of funds in accordance with the terms and requirements of a wide variety of particular kinds of trusts. The result is personalized and accessible services that help beneficiaries meet their current needs and anticipate their future support needs. Mr. Macy also has specialized for many years in public benefits laws for elderly and disabled individuals, including program and eligibility requirements for Medicaid and Supplemental Security Income (SSI). These programs have sometimes-complicated rules for assets in trust, which may limit or deny benefits as a result of distributions, investments or interpretations of trust language by the trustee. Mr. Macy is familiar with the specific rules that may impact benefits, and where to look for guidance on new or unfamiliar matters. ©2011-2015 All Rights Reserved Peter M. Macy, ESQ | Designed, Developed & Hosted by Biznet Internet Services Inc.